According to social media platforms, most notably Instagram and YouTube, contouring, highlighting, and other names given to describe makeup looks, are new and exciting beauty trends. On the contrary! The techniques of playing with light and shadow (chiaroscuro) are not new in the art of drawing and painting; nor are these techniques new to makeup; professional makeup artists have been incorporating some or all of these makeup techniques for decades! What is new about the“Instagram face”, however, is the heavy-handed, “one-look-suits-all” makeup application. In this workshop, we will examine the current social media look, and then work to best incorporate the look into a realistic application, thereby creating a flattering and “wearable” look. The traditional training for makeup artists involves study with skilled makeup artists, both in formal (school) and informal (on-the job) settings. In order to become marketable, after years of work, and continuing education, makeup artists must build an impressive portfolio, to reflect both their area of expertise, as well as the range of their work. The professional makeup artist may be more skilled in creating a character for theater or film, or may excel at enhancing a client’s face and features, for high definition television, print, and film. Some professional makeup artists may become proficient in both theatrical as well as beauty makeup. The goal of the professional beauty makeup artist is to use the art of makeup, which has always utilized light (and corresponding shadow), to enhance existing features. The goal of the theatrical makeup artist is to first create a character, and then, through the appropriate use of dramatic contrast between light and shadow, ensure that the character is visible to the audience. Historically, those who have influenced style and makeup trends have included the monarchy, the fashion industry, from designers to “super models”, as well as the celebrities in the motion picture industry. During the 1980’s, makeup artistry came into its own as a viable profession, with Kevyn Aucoin and Bobbie Brown, as examples of prominent, influential celebrity makeup artists. The new influencers, however, are famous for making themselves famous through social media. Following the unrealistic, filtered example of reality celebrities, (notably the Kardashian/Jenner women), we are bombarded with social media “how-tos,” created by virtually anyone who decides to record their techniques in front of a mobile device. These untrained artists work on their own faces, and frequently use the same heavy-handed techniques that can be found in drag, or theatrical makeup applications for large venues. The goal of the Instagram “artists” and YouTube “artists” is to gather a large following, thereby gaining the attention of cosmetic companies, who can then expand sales through these video “artists.” The most popular, and therefore most successful social media personalities, many of whom are not professional makeup artists, can easily earn an income merely by using, blogging and endorsing beauty brands. The result is a cult following of impressionable youth who desire that “Instagram” look, whether or not it is flattering for the individual. With this current trend, many of the professional makeup artists find that the artistry has been removed from the art of makeup. It is easy to spot an Instagram face: the eyebrows are dramatically structured, the lips are over-drawn, the eye makeup incorporates a “cut crease” and a “cat eye” and a heavy hand is used to contour and highlight the face, without regard to face shape, lighting, or its appropriateness for the time of day. Heavy, unnatural-looking shimmer is heavily placed on the cheeks (“strobing”). It is possible, however, to incorporate the desired social media trends, using a lighter hand, and with attention paid to the needs of the individual’s specific face/features, time of day, and formality of the occasion. We all want beautiful skin; however, there is a current obsession with highlighting, overdone in an effort to achieve an unnatural glow to the skin. For a current look, IRL, the skin can be radiant and luminous without the excessive use of hyper-real highlighting. For an instant, everyday “lit from within” effect, start with a well-moisturized and primed face. Use an age-appropriate, (sheer) foundation, adding concealer only where needed to color-correct, typically under the eyes. To achieve the natural, luminous effect, blend a cream or liquid highlighter lightly over areas of the face where the light naturally hits: the forehead, the top of the cheekbones, under the arches of the brows, down the nose and, sparingly, on the cupid’s bow of the mouth. Avoid contouring, unless you are skilled at blending to create a natural look. In fact, “nontouring”, or simply highlighting without contouring, is thankfully becoming mainstream, following reality star, Kim Kardashian and her currently pared-down makeup. The Instagram eye makeup application is so harsh IRL, that instead of enhancing the eyes, it actually takes on a life of it’s own and creates a distraction. 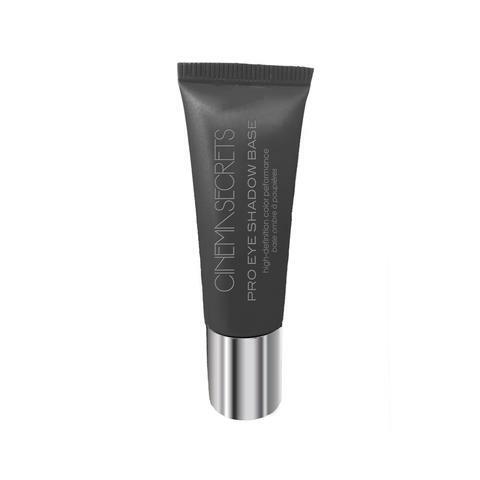 For an eye makeup look that is not harsh, as well as appropriate for daytime, we suggest trying the following: Prime the eyelid: apply an eyelid primer such as Cinema Secrets Eye Primer. Select either a translucent setting powder or an eye shadow powder lighter than your skin tone to set the eyelid. At this point, it may be desirable to simply curl the lashes and add mascara. For a more finished look and to create the illusion of the desirable almond-shaped eye, you may apply an additional eye shadow to the lid. 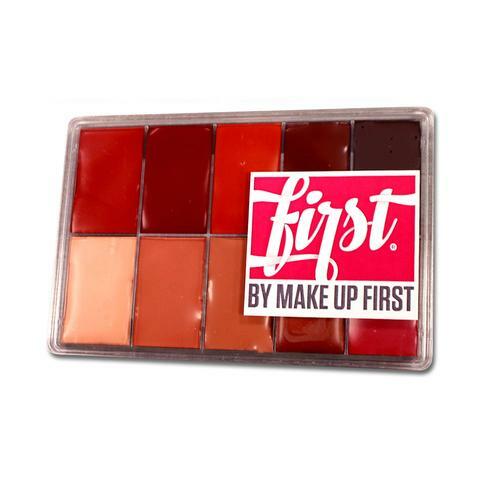 Select a darker color or tone and apply to the crease and outer corner of the eye. Apply a light tone, with or without texture, under the arch of the brow and sometimes also in the corner of the eye. To add dimension, you can apply a subtle pigment or shimmer in the center of the lid. Line the upper lash line with a tight line of powder or gel, and smudge the liner with a lighter tone. Line the lower lash line, in the same manner as the upper eye, if desired. Curling the lashes will “open” the eyes, while mascara will help define the lashes. While you can add “wispy” and light false lashes during the day, avoiding the social media trend of applying excessive layers of mascara. For brows that are groomed but not overdone, as well as appropriate for real life, avoid the dark, highly structured, angular Instagram brow. The eyebrows provide a frame for our eyes; if the frame is too dark or too harsh, we detract from the beauty of the eyes and face. Stay away from the use of dark, heavy pencil, and instead try using the more forgiving brow gel or brow mascara. Follow the natural shape of the brows and with subtle technique, alter the shape to suit the particular individual. The new powder pencil by Senna creates a soft brow; the Senna gel, Brow Fix X, has a fiber formula that creates the illusion of a fuller brow. For those blessed with full brows, we recommend the use of a brow gel to subtly enhance the brows, while keeping stray brow hairs groomed. Green, Gold, & Glitter all over! Find your pot of GOLD at our Pro Shop!